The Master of Ceremonies at the gate of the Capuchin Monastery explains three times. Tweakly while together, why where you read only together. “A small, mortal man”, opens a Capuchin brother of the gate of the monastery and the coffin is laid to rest in the Imperial tomb. Unfortunately, when you visit the Imperial Vault, you must learn that this enthronement ceremony is in the Realm of Legends. 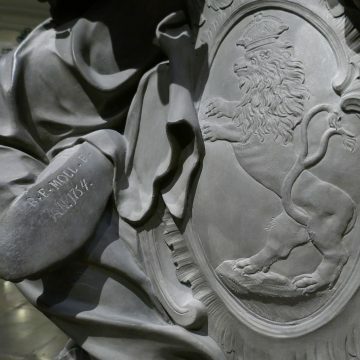 No written funerary document of the Habsburgs tells of the knocking ceremony, only in 1989. 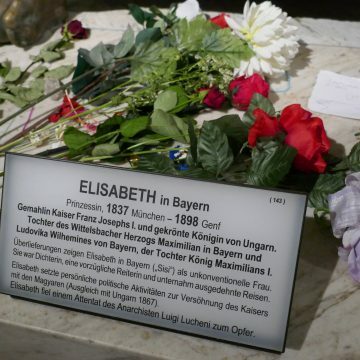 After Empress Zita two other sons (Otto von Habsburg and Archduke Carl Ludwig) and a daughter-in-law (Regina von Sachsen-Meiningen) were buried in the crypt. A single place is still free and is taken over by the Archduke Carl Ludwig. 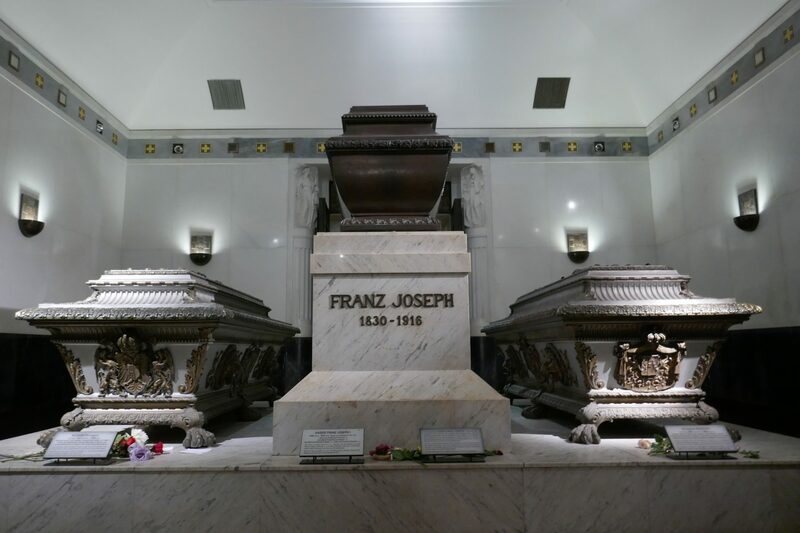 Originally, the tomb was intended for exactly two coffins. In 1617 Empress Anna donated 10,000 florins to the Capuchins for the construction of the Capuchin Church and another 12,000 florins for an altar and a crypt. One year later Anna died at the age of 33, her husband followed her three months later. The burial ground was far from finished, the Thirty Years War slowed down the construction project. 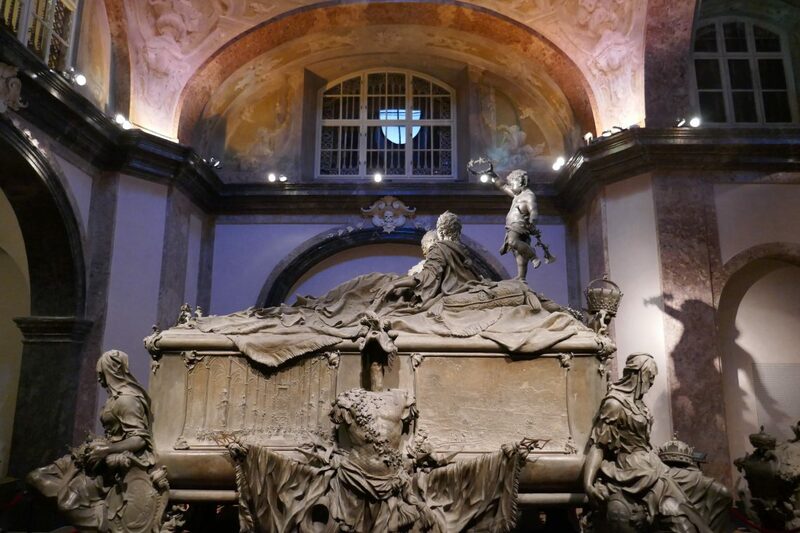 Only in 1633 could both coffins be transferred to the crypt under the Capuchin church. And actually it should stay with these two coffins, but death took over the direction. Within a week both sons of Emperor Ferdinand III died. His wife Maria Anna died a few years later of pregnancy poisoning. Finally, the Emperor decreed his funeral with his wife and children, and with it the sarcophagi piled up in the small room. 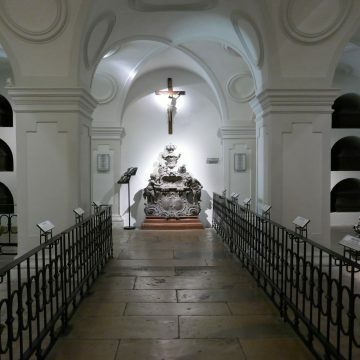 Since it was customary for the Habsburgs to be buried in the Capuchin crypt, the premises were removed and rebuilt several times. 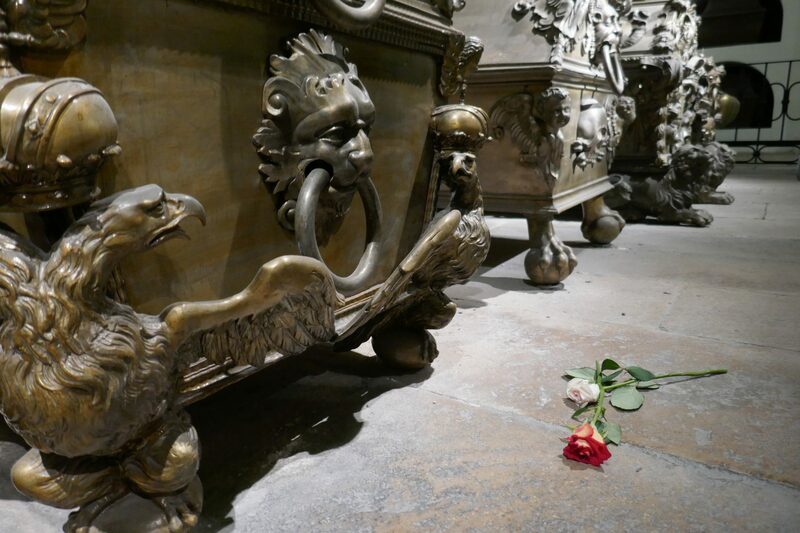 Today, 150 people are resting in the crypt, including 12 emperors and 19 empresses. The death of the Habsburgs was governed by a strict court protocol. After death, the body was dissected, the entrails were removed and buried in copper urns in the ducal crypt in St. Stephen’s Cathedral. 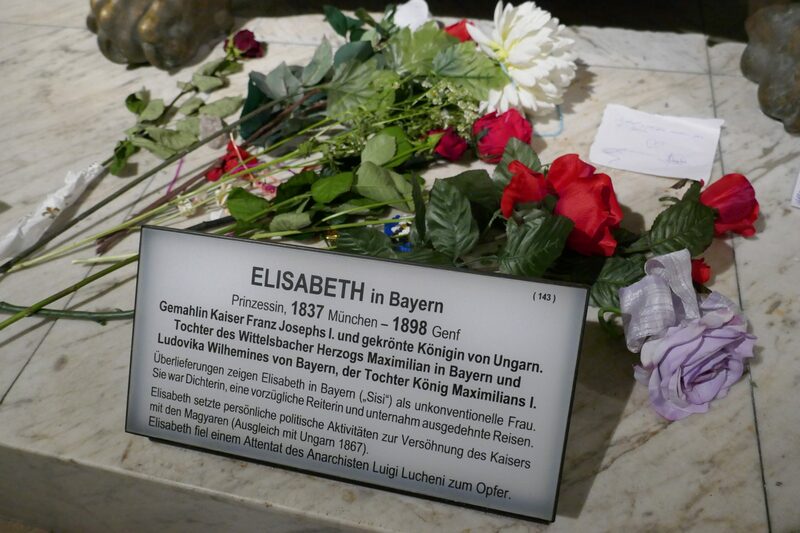 The heart came in a silver urn and was buried in the Herzerl crypt in the Augustinerkirche. The bodies were laid in velvet-covered wooden coffins. Regents received black velvet and gold cloth, archdukes red velvet and silver cloth, children were given white velvet. These wooden coffins were then buried in the Prunksärgen. There are two keys for the coffins, a capuchin brother watches over a key, the other one is handed over to the chief steward. The many coffin keys are to be seen in a separate cabinet in the treasury. If you cross the ten rooms of the Imperial Crypt, you will travel through a stylistic epoch of 400 years. 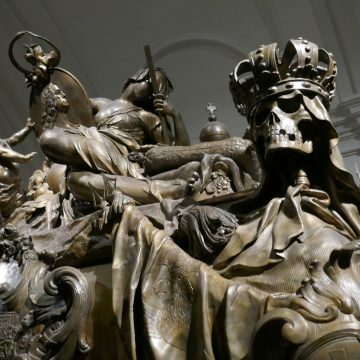 The most sumptuous is certainly the double sarcophagus built in late Baroque by Empress Maria Theresia and her husband Emperor Franz I Stephan of Lorraine. During her lifetime, the Empress dealt with her death. She had the sarcophagus made to her liking. On the sides of the coffin are scenes from the political life of the two rulers. 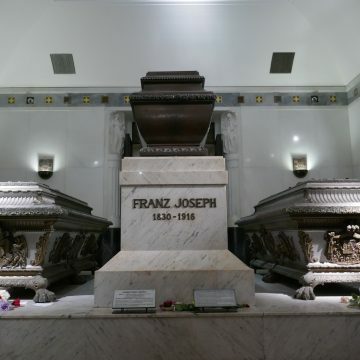 At your feet lies in a simple and unadorned copper coffin Emperor Josef II. Joseph was the complete opposite of his mother. Even during his reign, he had everything superfluous abolished. His sentiment prevailed also in the selection of his coffin. Two sarcophagi attract especially many visitors. In one is Emperor Maximilian of Mexico, the younger brother of Emperor Franz Josef, in the other is Empress Sisi buried. Flowers are planted in front of both coffins and even love letters in the case of Sisi. 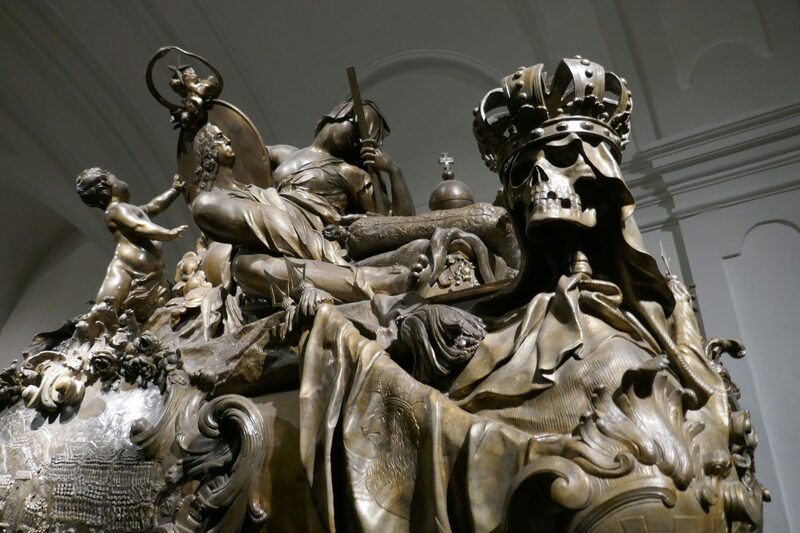 Incidentally, a single person in the Imperial Crypt does not belong to the House of Habsburg. These are Countess Karoline von Fuchs-Mollard, the governess of Empress Maria Theresa and her older children. At the express wish of the Empress, she was buried in the Imperial Crypt. Who was not buried in the Imperial Crypt? 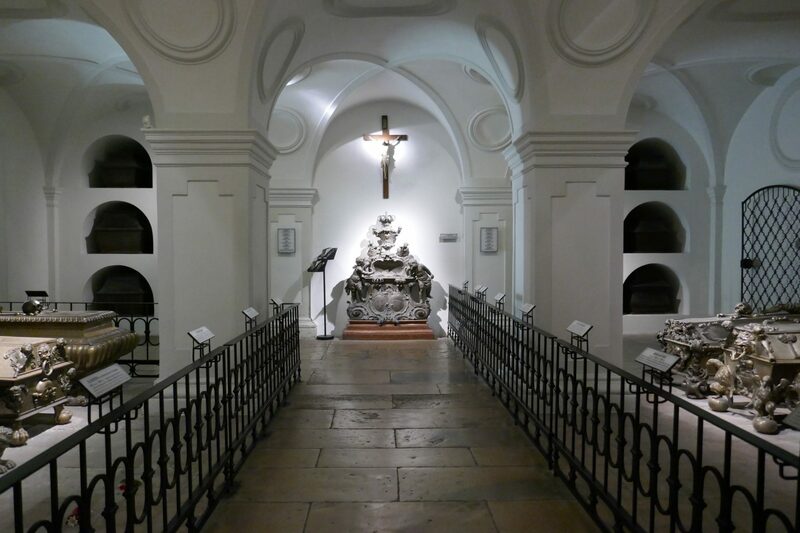 Two important representatives of the Habsburg family are missing in the crypt. 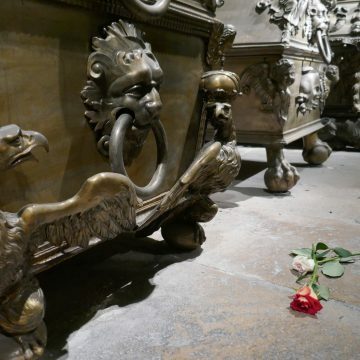 The heir to the throne Franz Ferdinand, who was murdered in Sarajevo, had a family tomb built in Artstetten, Lower Austria, during his lifetime. His wife was considered as not equal, she would have been denied the final rest in the Imperial tomb. 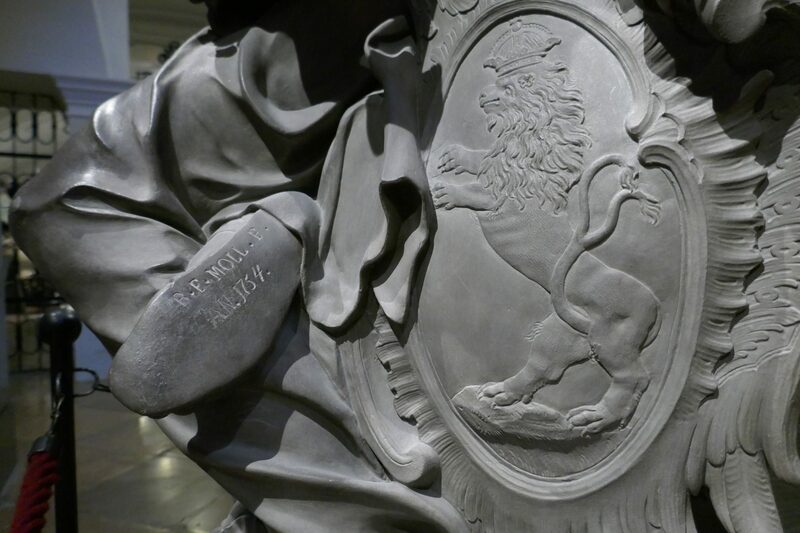 Emperor Karl is buried in Madeira. Although it was and still is spoken of a return to Vienna, but you really want to thank the inhabitants of Madeira, that they took the last emperor of Austria. A bust in the Imperial Vault reminds him.